This dataset contains information provided by the Land Matrix on the size, nature, state and purpose of Large-Scale Land Aquisitions around the world. Total Area (ha) for Agri unspecified (Agriculture) deals in a gven country over the overall time period 2000-2015. Total Area (ha) for agricutural deals in a gven country over the period 2000-2015. Total Area (ha) for biofuel (Agriculture) deals in a gven country over the period 2000-2015. Total Area (ha) for carbon sequestration/REDD (Forestry) deals in a gven country over the period 2000-2015. Total Area (ha) calculated as the sum of all concluded deals, in a gven country over the period 2000-2015. Total Area (ha) for conservation deals in a gven country over the period 2000-2015. Total Area (ha) calculated as the sum of all deals, in a gven country over the period 2000-2015. The total Area (ha) of land from deals in which the projects are already operational (in production) over the period 2000-2015. Total Area (ha) for other topic deals (other than agricultural, forestry, conservation...) in a gven country over the period 2000-2015. Total Area (ha) for deals of unknown topic in a gven country over the period 2000-2015. Total Area (ha) for food crops (Agriculture) deals in a gven country over the period 2000-2015. Total Area (ha) for forest unspecified (Forestry) deals in a gven country over the period 2000-2015. Total Area (ha) for forestry deals in a gven country over the period 2000-2015. Total Area (ha) for industry deals in a gven country over the period 2000-2015. Total Area (ha) calculated as the sum of all Intended deals (with a negotiation status of “Expression of interest” or “Under negotiation”), in a given country over the period 2000-2015. Total Area (ha) for Livestock (Agriculture) deals in a gven country over the period 2000-2015. Total Area (ha) for non-food agricultural commodities (Agriculture) deals in a gven country over the period 2000-2015. Total Area (ha) for renewable energy deals in a gven country over the period 2000-2015. Total Area (ha) for tourism deals in a gven country over the period 2000-2015. Total Area (ha) for wood and fibre (Forestry) deals in a gven country over the period 2000-2015. Total Area (ha) calculated as the sum of all failed deals, in a given country over the period 2000-2015. Total number of agricultural unspecified (Agriculture) deals in a gven country over the overall time period 2000-2015. Total number of deals having as main object purposes related to agriculture, in a given country over the period 2000-2015. Total number calculated as the sum of all concluded deals, in a gven country over the period 2000-2015. Total number of deals having as main object purposes related to Conservation, in a given country over the period 2000-2015. Total number of deals in a given country over the period 2000-2015. The total number of deals in which the projects are already operational (in production) over the period 2000-2015. Total number of deals having as main object purposes related to an Unknown Topic, in a given country over the period 2000-2015. Total number of failed deals, in a gven country over the period 2000-2015. Total number of Food crops (Agriculture) deals in a gven country over the overall time period 2000-2015. Total number of forest unspecified (Forestry) deals in a gven country over the overall time period 2000-2015. Total number of deals having as main object purposes related to Forestry, in a given country over the period 2000-2015. Total number of deals having as main object purposes related to Industry, in a given country over the period 2000-2015. Total number of Intended deals, in a gven country in a given year. Total number of livestock (Agriculture) deals in a gven country over the overall time period 2000-2015. Total number of non-food agricultural commodities (Agriculture) deals in a gven country over the overall time period 2000-2015. Total number of deals having as main object purposes related to Renewable Energy in a given country over the period 2000-2015. Total number of deals having as main object purposes related to Tourism, in a given country in a given year. Total number of wood and fibre (Forestry) deals in a gven country over the overall time period 2000-2015. 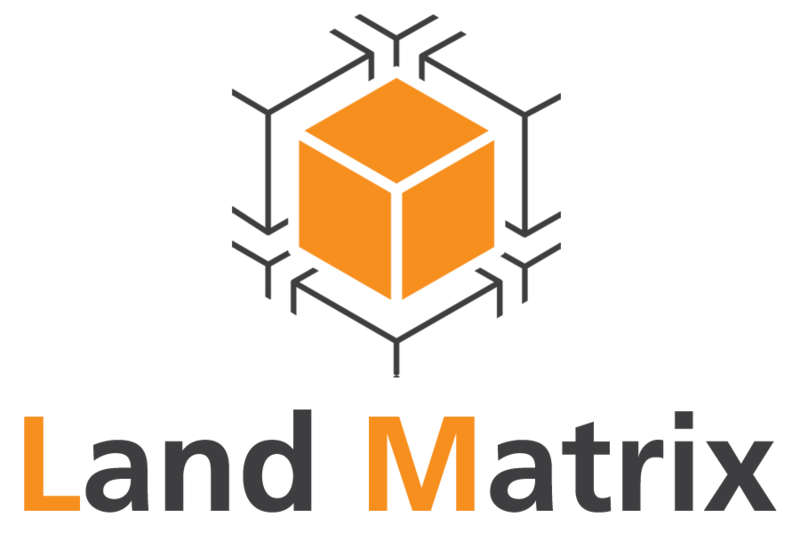 The Land Matrix is a global and independent land monitoring initiative. Our goal is to facilitate an open development community of citizens, researchers, policy-makers and technology specialists to promote transparency and accountability in decisions over land and investment. The data should not be taken as a reliable representation of reality. Reality is fast-changing as deals are changed, annulled or new ones spring up. Many deals are not yet included in the database.